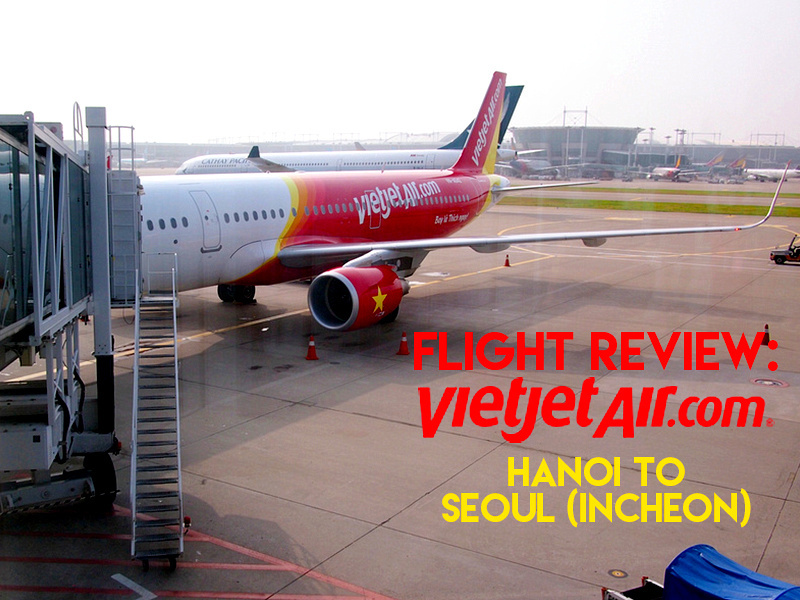 I flew with VietJet Air from Hanoi to Seoul. 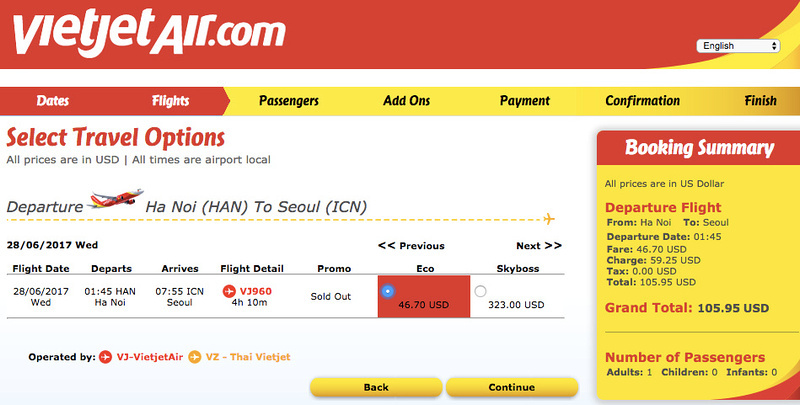 I compared flights with Skyscanner, and Vietjet was the cheapest option. 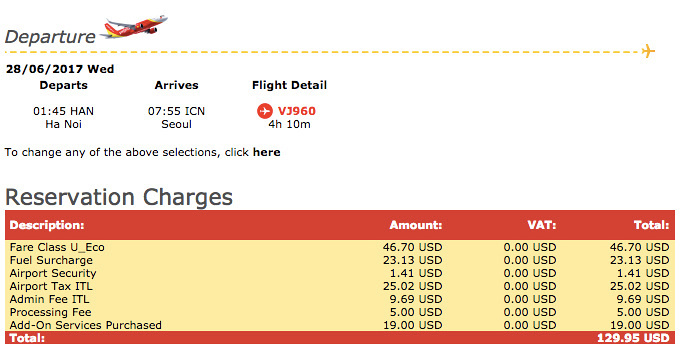 The economy fare was $46.70 USD, which went up to $105.95 USD with taxes. If you book during a promo sale you might be able to get a cheaper price. Once the baggage and credit card fee was added the total price was $129.95 USD, which is a great price for a four-hour flight. I counted 11 flight options for the day, with three flights during the day. Those flights were at least triple the price of the night flights and were with full-service airlines. 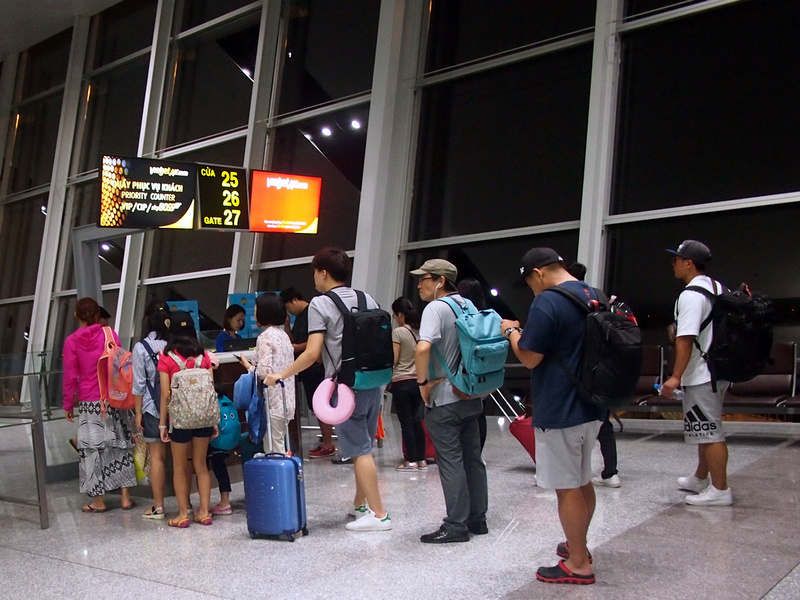 Most people would either be flying on business, or their ticket would be bundled in a connecting flight at Incheon. As you can see here most of the overnight flights out of Hanoi are to East Asia destinations. My flight was at 1.45am, arriving in Seoul at 7.55am. 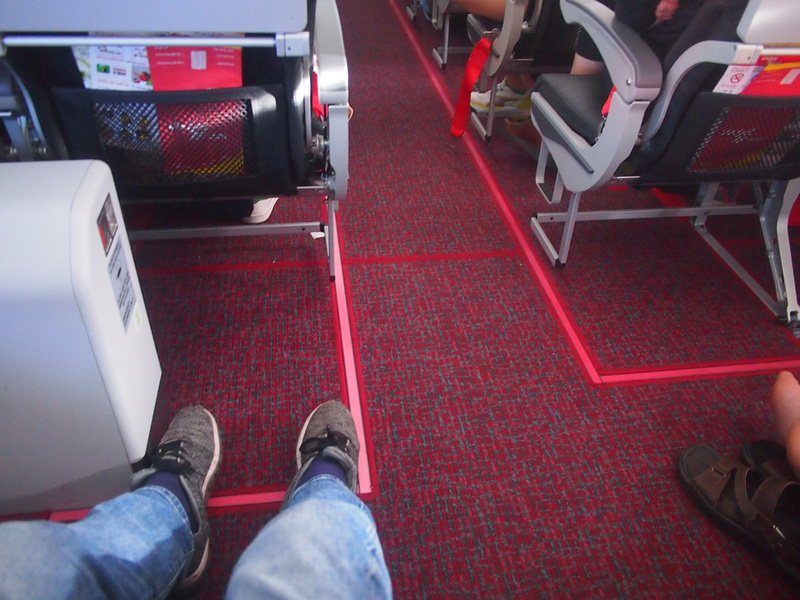 This is a classic red-eye flight, which I try and avoid if there is a suitable alternative. To try and make the trip more comfortable I booked a room in Hanoi for the day and rested until I left for the airport in the evening. For some reason our flight was boarded via a bus on the tarmac, even though there were airbridges available. It was the middle of the night so it wasn’t like it was rush hour. It was pouring rain when we boarded as well, so we had to make a dash from the bus to the aircraft. Not a pleasant way to start a red-eye. I spoke with the flight attendant and he said they never usually board like this on the overnight flight. 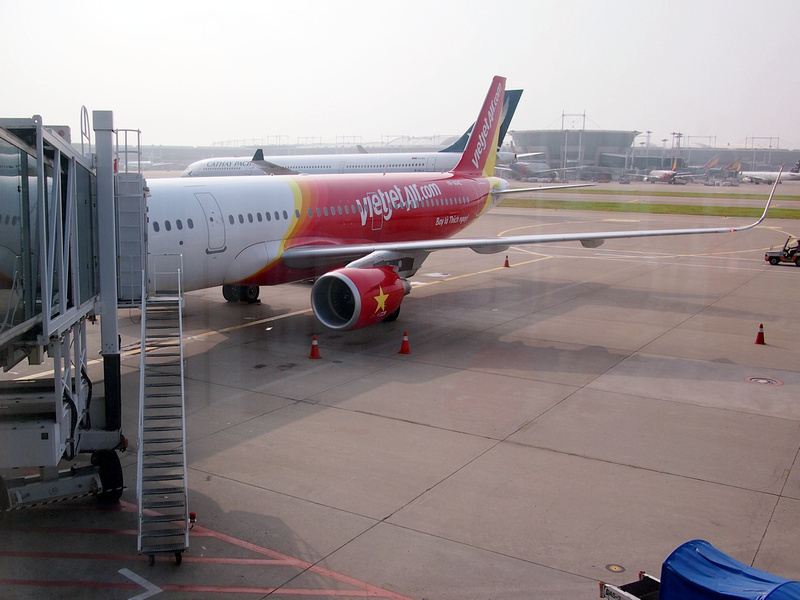 With Vietjet there is no online check-in, so I arrived at the airport ready for the check-in at three hours before the flight. 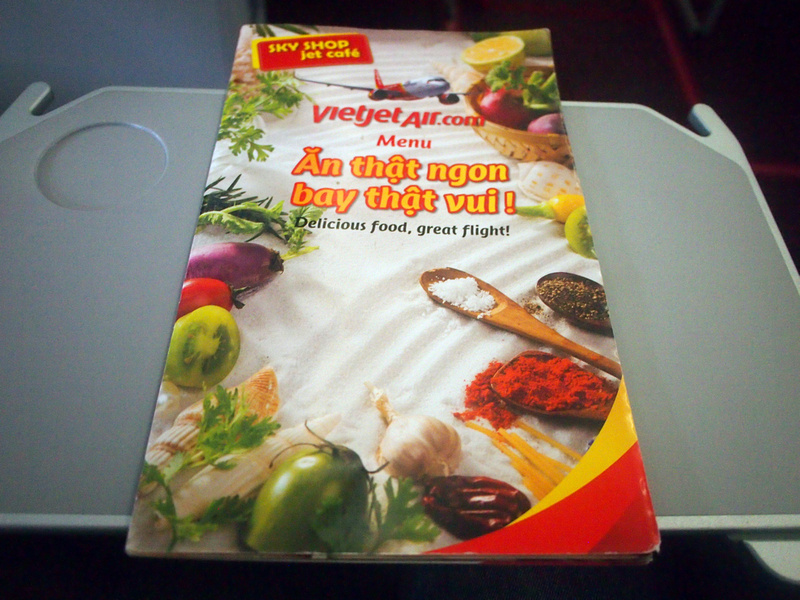 I didn’t have a seat booked, but at least with Vietjet you can ask for a window or aisle. I was second in the queue and they allocated me an emergency exit seat. I can’t sleep on flights at the best of times, so I didn’t hold a chance a sleeping on this flight. Apart from the inflight magazine there is no onboard entertainment, so bring your own. I had my trusty Kindle Paperwhite, which glows in the dark. The cabin lights remain off for the first two hours, and by then the flight has reached daylight so the cabin lights are turned on. If you ordered food or would like to order food, the cabin service begins when the lights come on. 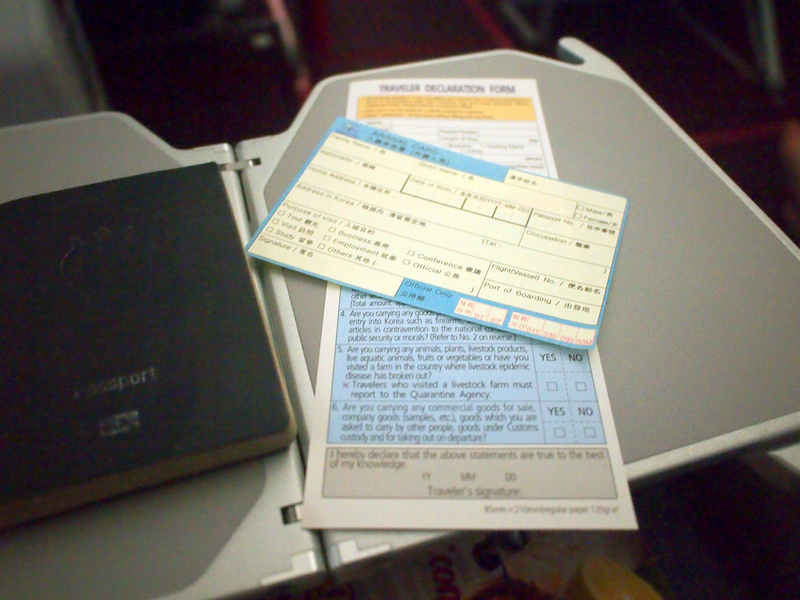 The cabin crew provide South Korea immigration forms to save you time filling them out at the airport. 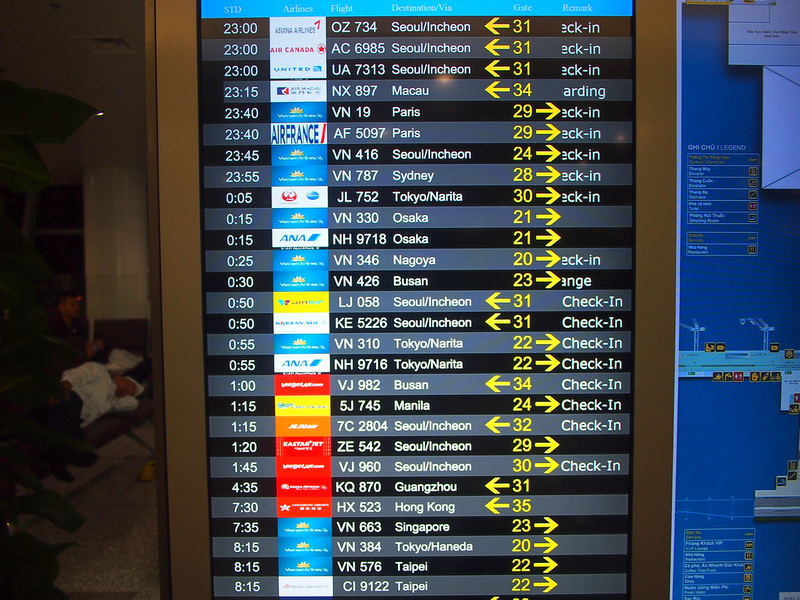 The flight arrived on time at Incheon airport, where there is an airbridge for every airline. So that was my cheap flight to Seoul. I’m not a fan of red-eye flights on any airline, but I saved over $200USD by taking this over a day time flight, so that was worth it for me.